Birthday card for a wonderful lady, who turns 90 years old in a few days. And as she is a lady full of energy, she's having a birthday party for family and friends. I hope to be so strong-going, when i turn old(er). 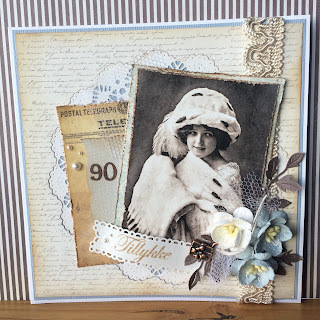 Gorgeous card Annette! I love the vintage image you've used, and the softness of the colours is lovely.